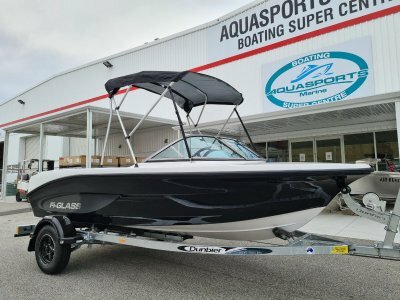 Brand New Fi-Glass 475 Ski Angler - After the huge success of the relaunched 475 Fireball the Fi Glass factory has just released the new 475 Ski Angler Centre Console. 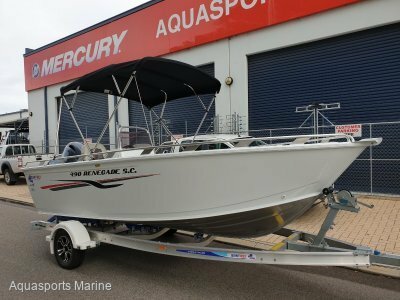 This boat is very versatile and perfect for our offshore condions. Designed to be versatile, powerful and exceptionally good fun. 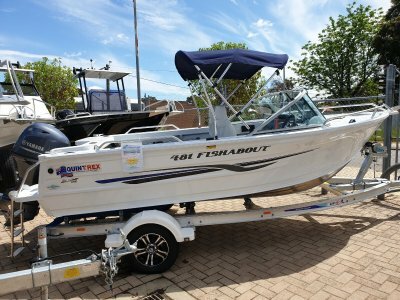 Great for family outings, fishing and crabbing or even taking the kids out tubing. Made for fun in the sun. The all-new Fi-Glass Ski Angler provides a stylish alternative to aluminium centre consoles. The layout provides good room for a range of fishing/water sports applications in a small boat and a stable platform at rest. 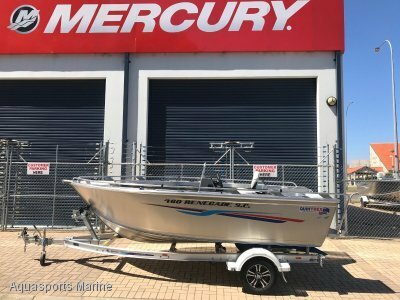 The Ski Angler is complete with the following standard inclusions - 6 Year Structural Hull Warranty, Large Seperate Anchor Locker Compartment, Centre Console with Windscreen & Forward Seat, Fully Lined Cockpit Sides, Side Shelf Storage, Twin Moulded Rear Seats, 500GPH Bilge Pump with Float Switch and Marine Carpet to Cockpit Floor.